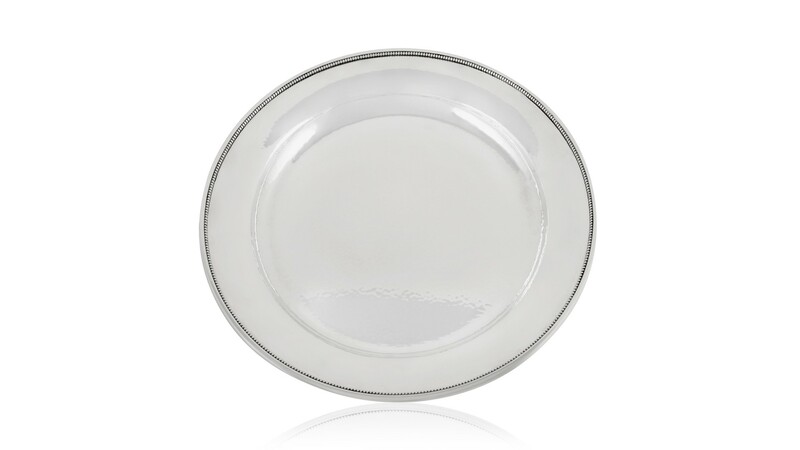 This is a set of ten matching sterling silver Georg Jensen hammered charger plates in the Beaded pattern, design #210N by Georg Jensen from circa 1917. 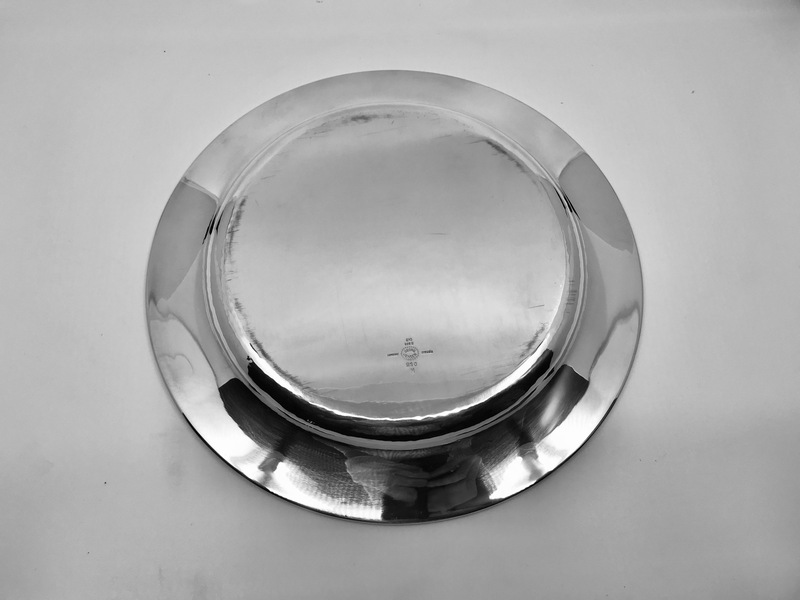 Each plate measures 11″ (28cm) in diameter. Each plate weighs circa 22.2oz (630g). 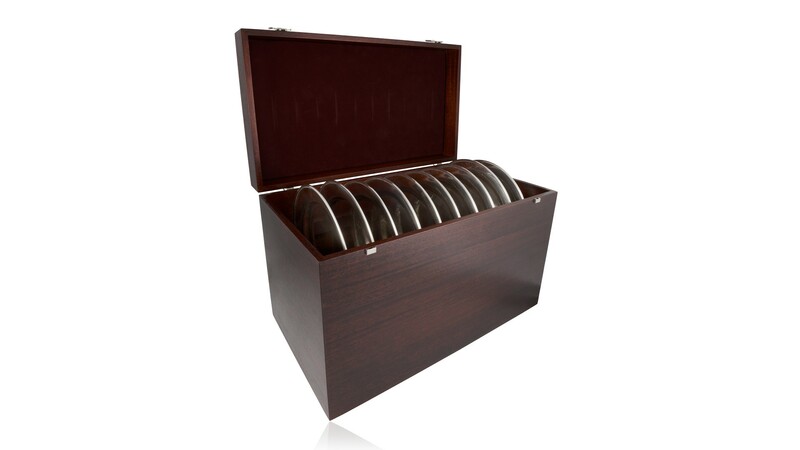 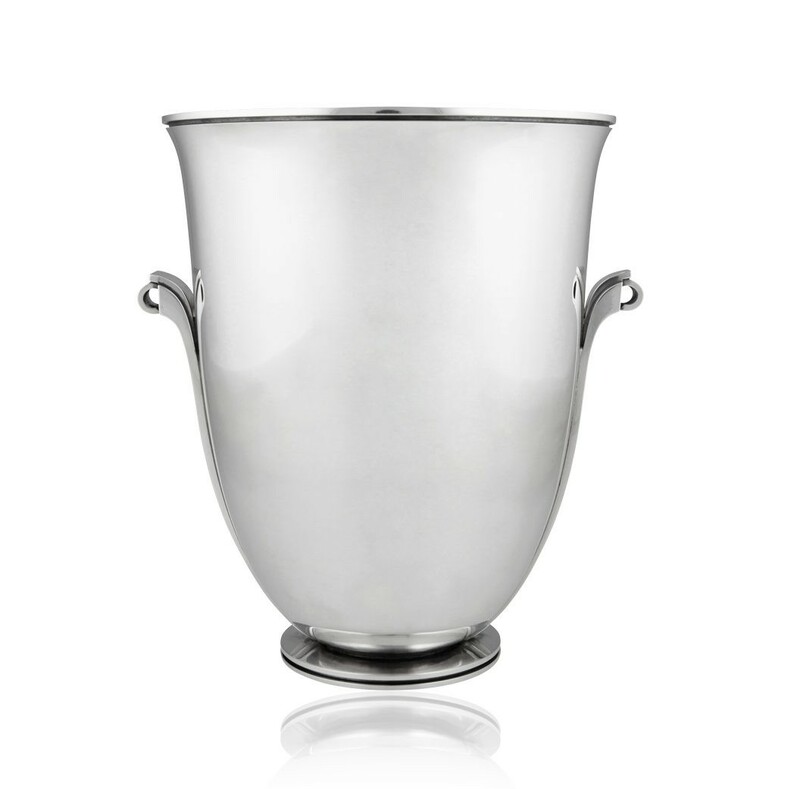 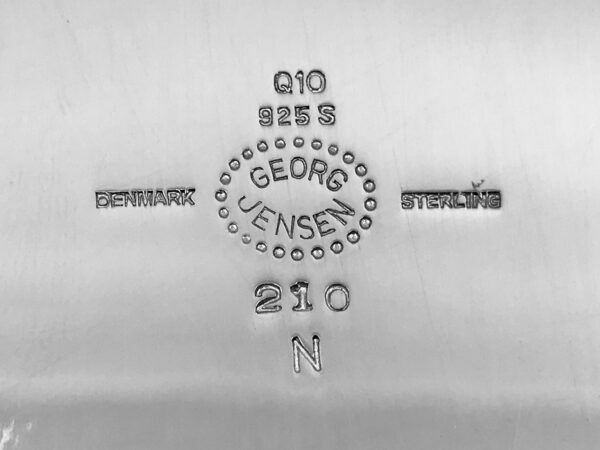 This set comes in an original Georg Jensen fitted mahogany box with a Georg Jensen sterling label. 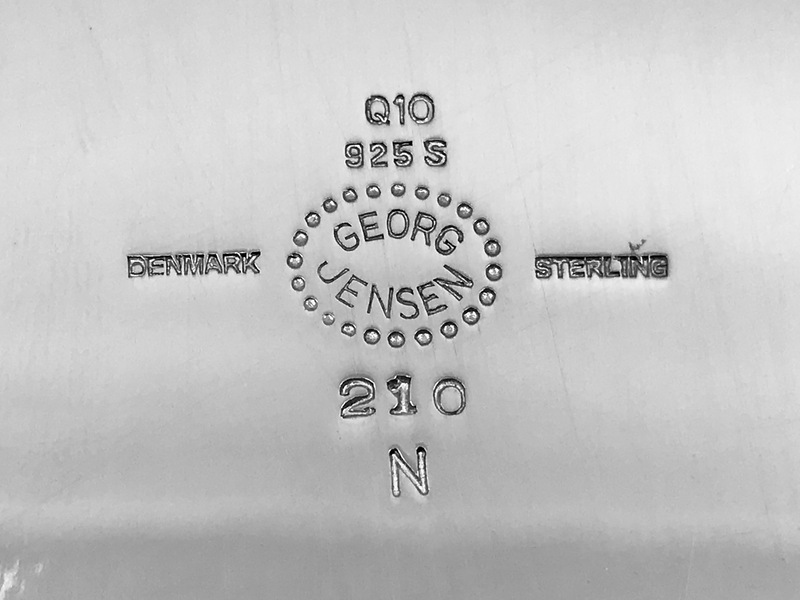 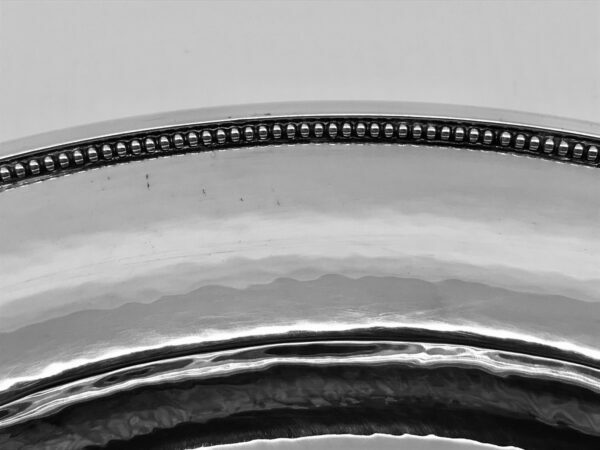 All ten plates are marked with matching Georg Jensen hallmarks and date code Q10 for 1990. Excellent condition, the hammering is as new.